I made the card with a couple of challenges in mind, CAS-ology, which is New, so I used a new stamp I have from Amy Tangerine, and the Keep it Simple challenge, which is Wood, so I used a Studio Calico wooden heart on the card. What a fun card Tracy! Love the effect you achieved with the masking! I'm too much of a control freak to try these mists - you're very brave! 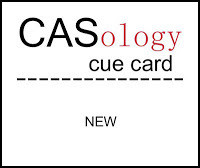 Thanks so much for playing along again with us at CASology this week, Tracy! I agree with Ardyth, you are so brave to try mists and masking! You made it look so easy and I love the effect! Thanks for joining us at Casology this week! Tracy this is another great card, love how you used mist. I agree with Meghan, you are brave. Thanks you so much again for sharing with us this week at CASology! I have the same problem with those mists but in this case I like it. The heavy misting balance the heart in the opposite corner. Thanks for playing along again with CASology! what a fun card... i really like the way the misting turned out! it really draws attention to the cute little couple in the center. thanks for playing along with CASology this week! What a sweet Valentine's card! Love the misting! I think the misting is perfect! Great masking, sweet colors and design...perfectly CAS! Thanks for playing along at CASology this week! aww - this card is cute, Tracy. Love the misting and how your alphas are so whimsically arranged. 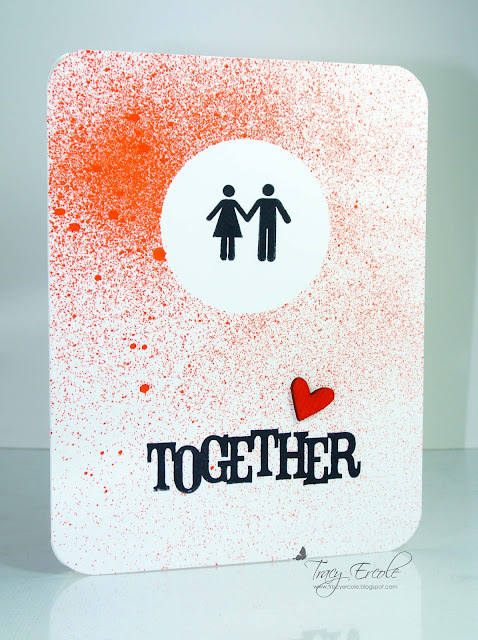 It is great that you used the same supplies but the card turned out so different! The misting (and masking) is stunning! Thanks so much again for playing along with us at KEEP IT SIMPLE! What a fun design! The masking you did before misting is fantastic--love how it highlights the cute couple. So glad to have found your blog. You have such a wonderful, clean style! I like this card even MORE! The red splatters and the masked circle are fabulous! It's like a spotlight on the couple! Awesome card! Thanks again for playing along at keep it simple! Absolutely fantastic. I love that crazy mist!